Biometric voter registration discussed in the U.S.
Voter registration issues and people being turned away at the polls means the U.S. market might be ready for Biometric Voter Registration, IVN reports. 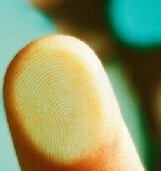 BVR entails voters participating in a form of biometric analysis such as fingerprint or iris scanning, the outcome of which hopefully includes them on the voter roles. The article states that many African nations have implemented or are designing biometric voter registration schemes, with varied success. The process can’t detect different categories of people, such as under-age workers and because systems may not be interconnected, people may have the ability to get into the database twice. However, the system has done a lot toward combatting fraudulent voting. It’s true test will be in December, when it’s used in the Ghana national election.